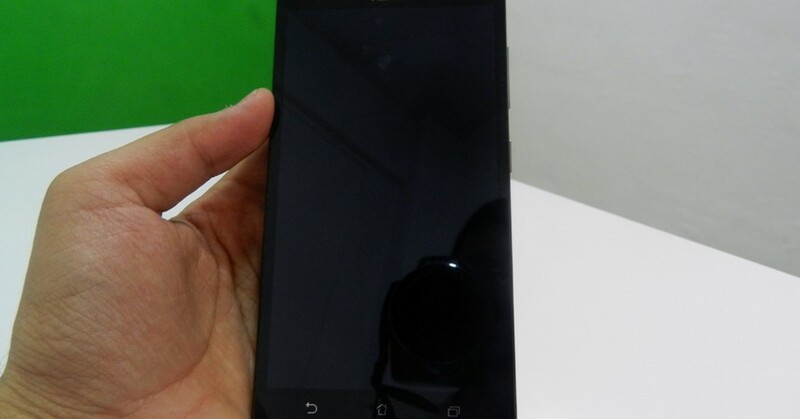 Budget Android Smartphone with Massive 5000 mAh Battery! With smartphone technology nearing its peak, smartphone manufacturers are constantly on a lookout for any new tech or feature that will make their device stand out from the rest of the crowd. While the flagship devices get all the goodies, budget smartphone get minimal upgrades. Asus decided to beef up the battery life of their new budget segment entry with Zenfone Max, that sports a whopping 5000 mAh Li-Po battery. With even flagships struggling to last all day long, can this upgrade help Zenfone Max stand out the heating competition of budget merely with battery life? Let’s find out in my following in-depth review. 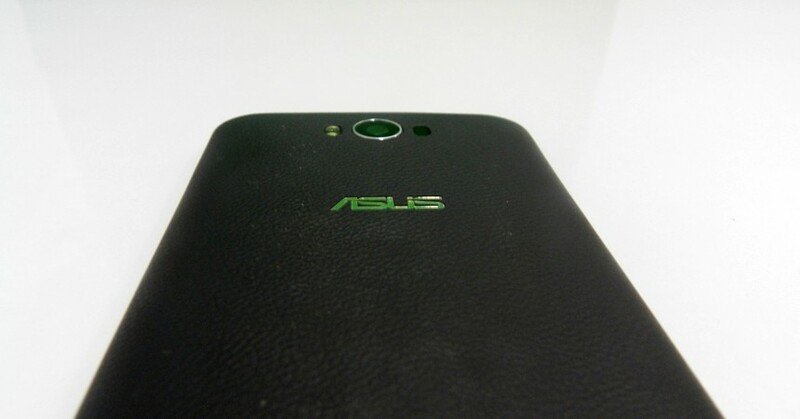 The Asus Zenfone Max has a good build quality. 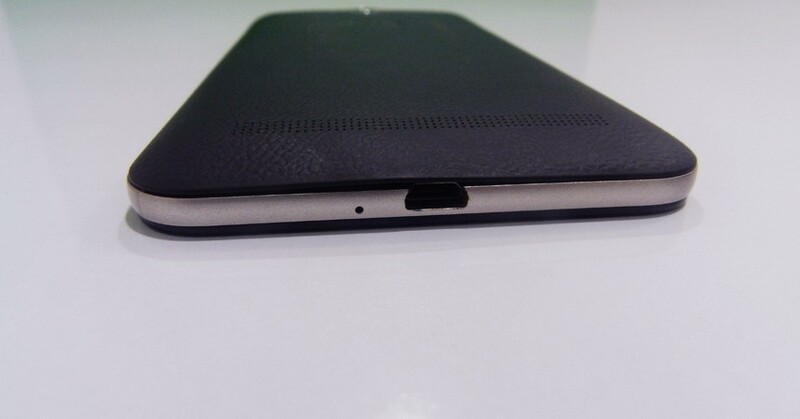 It has a textured back cover made of plastic material, for better grip. Unlike many devices under 10K, Max stands out with superior build quality and weight that makes it feel solidly made. Like any other 5.5 inch device, this is one big device to hold, so you need a good grip and possible large palms. 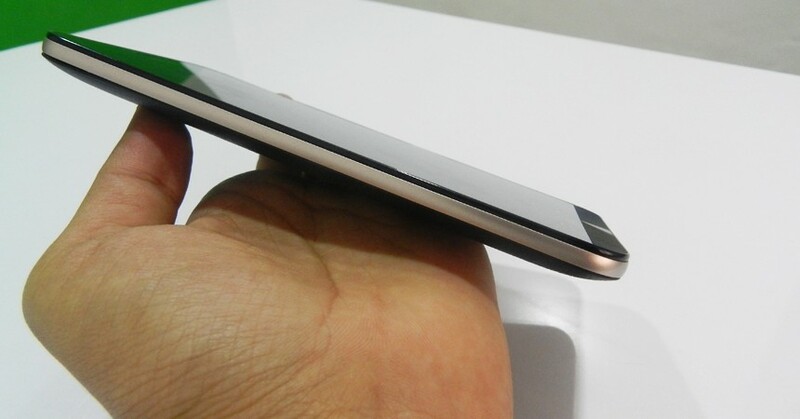 There is a nice metal ring around the smartphone which gives a premium touch to it. 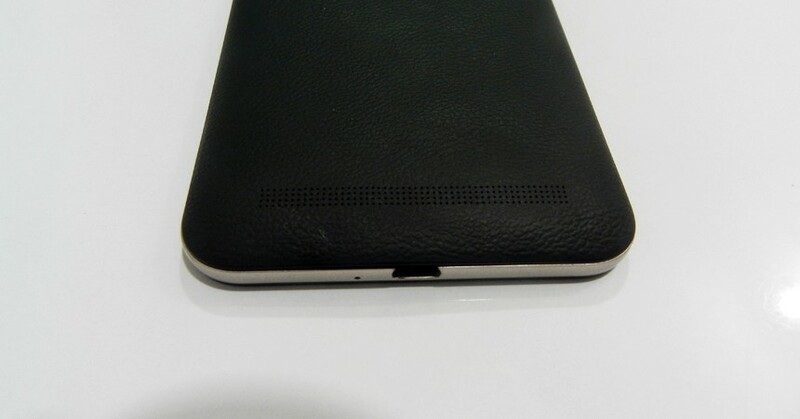 Similar to most other Asus Zenfone devices, Max has a power button on the right side followed by volume rockers. The placement of all these buttons is at a handy location, making it easy to operate with the right hand. 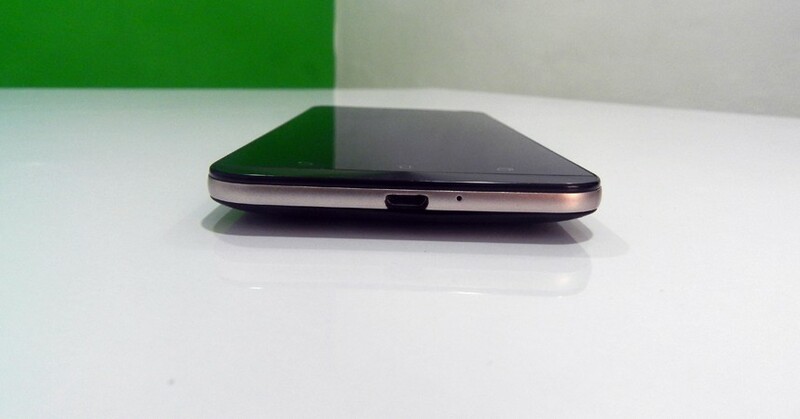 On the top, you have a 3.5mm jack and at the bottom, there is the microUSB charging port and a microphone. 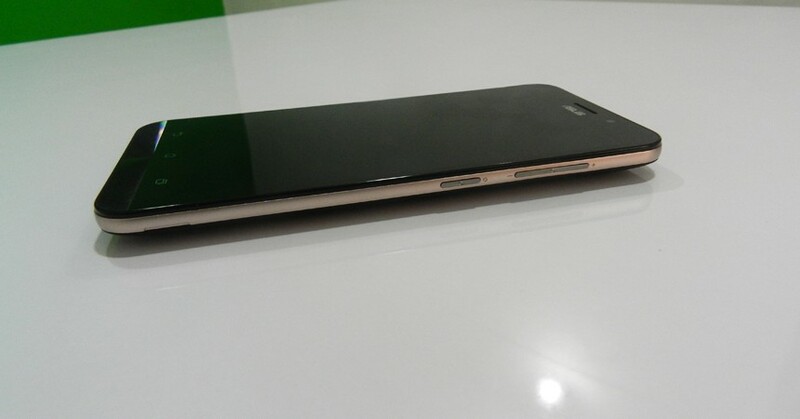 On the back, it has a 13 MP camera with dual-tone LED flash and Laser autofocus. Just above the camera is the other microphone for noise cancellation and the speaker is at the bottom part of the back. Asus believes in big displays, therefore, all of their smartphones including their latest flagship smartphone, the Asus Zenfone Zoom also comes with 5.5inch size. The same specification follows with the Zenfone Max making it too big to comfortably fit in your pockets. It has a resolution of 1280 x 720 pixel which gives 267 ppi pixel density which is lower than expected, given the fact that other smartphones in its competition have pixel density over 300ppi. This low pixel density is quite noticeable when you watch HD videos or movies on the big display of Max. The color reproduction, however, is very good and playing games becomes twice the fun thanks to the big size of this device. The videos aren’t very sharp, but they are good enough to watch something in bright daylight. Reading web pages, or kindle ebooks also becomes a comfortable experience with Zenfone Max. It has an IPS capacitive touchscreen, that offers decent viewing angles and the touch is very smooth and responsive as well. The display is protected by Corning Gorilla Glass 4, so there are no scratches on the display even if you are a rough user. This is a budget smartphone, therefore, it does not have killer hardware specs but they are decent enough to get you through the daily tasks. Asus Zenfone Max has Qualcomm MSM8916 Snapdragon 410 which is a Quad-core processor clocked at 1.2 GHz, 2 GB of RAM and comes in 8/16 GB internal storage variants. 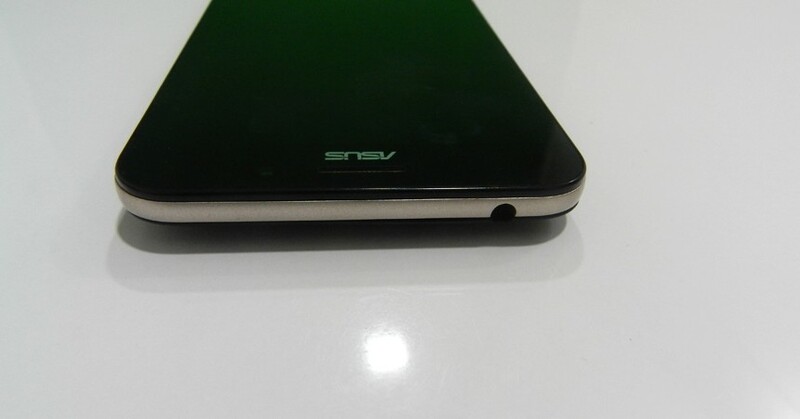 It runs on Android 5.0 Lollipop with Asus ZenUI on top. As you can see from the benchmarks, the Asus Zenfone Max is a decent performer and is at a sweet point of what you expect from a budget smartphone. Geekbench results predict the single core score is 431 and the multi-core score is 1367. AnTuTu score is 23963. Both these scores indicate that this device is on the lower side of performance, but is competitive enough to other devices in this price range. Despite these numbers, I did some gaming and it was quite fun to play as this device had a big screen. I played tiny troopers 2, SG:DeadZone, NFS Rivals etc on this smartphone. It took the time to load these games but once they finished loading the performance was very smooth and I experienced no noticeable lag. 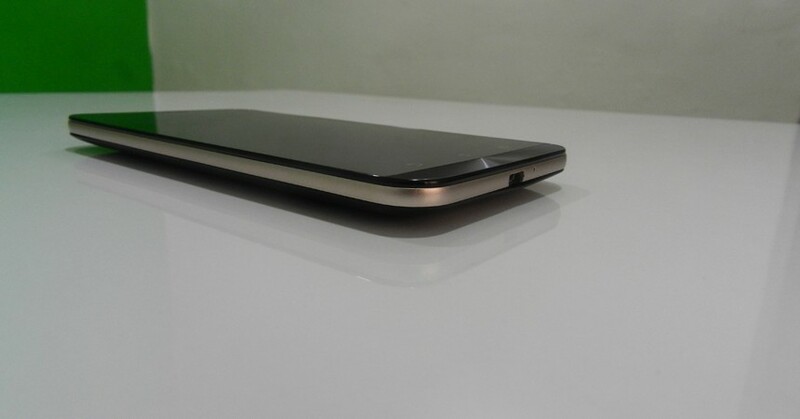 It defintely got heated up after some time which is no exception in low to mid range smartphones. Smaller games like unblock me, 2048, subway surfers etc are fun to play and the touchscreen is impressively responsive. Asus Zenfone Max connects instantly to a WiFi or mobile network and you have a good experience of browsing through the internet. Pages load quickly and you can switch between tabs without any kind of lag. Kinetic scrolling and pinch to zoom work well and again its big screen becomes an advantage here. You can turn on the Blue Light filter feature due to which your eyes will not be strained on prolonged viewing of the screen. I found this feature personally quite useful as I read a lot on the web and keep doing other stuff on my smartphone constantly. 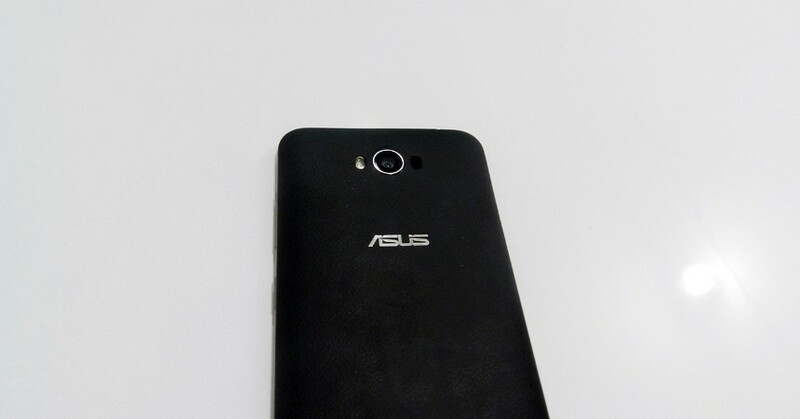 Asus Zenfone Max does not have headphones as an accessory in the box which is quite disappointing. The speaker is not loud enough, so if it’s on a comfy bed and you receive a call, you will barely hear your ringtone which might be problematic at times. Also, the quality of sound isn’t very good. Plug in your headphones and you can enjoy songs on it. Again, sound quality will defer with the headphone you use. The sound quality of Asus Zenfone Max is pretty average compared to the quality of sound other devices offer in the same price segment. So if you are buying this smartphone to listen music all day, either buy a good expensive pair of headphones or simply stay away from buying Zenfone Max. 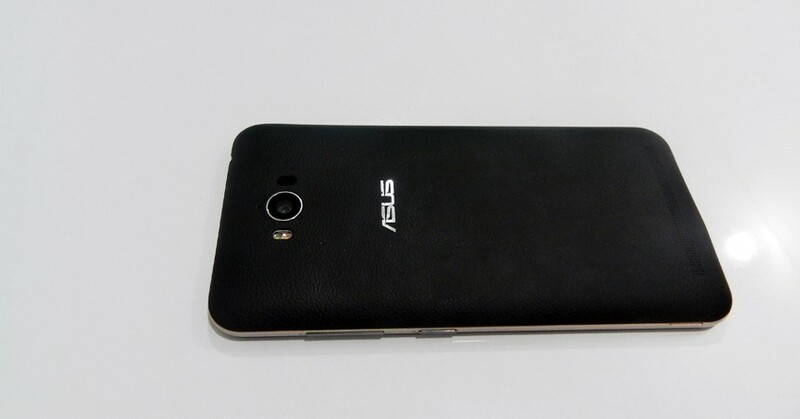 The Asus Zenfone Max has 13 MP rear camera with dual tone LED flash. Due to laser auto focus, it focuses on an object you want in split seconds and, therefore, helps you capture moments quickly as it also has a high shutter speed. As you can see below, it took some very good images in different conditions. There are many modes in which you can click images and also a manual mode for the photography enthusiast. Many of these camera modes and features are from the Asus Zenfone Zoom as this device has the same camera app. Other camera features are geo-tagging, touch focus, face detection, panorama, and HDR. The front camera is 5 MP and it also clicks decent images. There are different modes for the front camera also which you can experiment with. Both the cameras are capable of recording 1080p video. With a stable hand, you can shoot good quality videos @30 FPS. The USP of the Asus Zenfone Max is it’s insanely huge 5000 mAh Li-Po battery which will last you for at least 2 days straight on a moderate use. It lasted me for 4 days when I was traveling, I only used its camera for clicking pictures and attending small number of phone calls. So I didn’t really used the Max that much but it lasted much longer than I expected it to. Also, it has the “Reverse Charging” feature. By using this feature, you can charge your other device by connecting them via USB cable. So you don’t need to carry a power bank with you if you carry around two smartphones, otherwise, it’s a feature useful to your friends or family more than yourself. But for frequent travels or emergency situations, this feature is nothing less than a blessing. Zenfone Max being a budget device, lacks turbocharging, therefore, this massive battery can be a pain too. It takes about 4 and half hours to charge this battery from 0 to 100, this is a very long time to charge your smartphone, and you might not wait for full charge all the time. But I found a positive side to it, I can actually leave it charging overnight without the fear of it being overcharged as I sleep late in the night and someone else can turn off charging in the morning for me, so quite a useful device for my personal needs. Even though the Zenfone Max has a massive battery, still you might need battery saving techniques in some situations. So, there are different battery modes provided which help you choose the best output for your device. Set these modes as you require and you will get the best possible performance from your device. Also, if you’re tired of regularly switching the modes, Asus Zenfone Max can do it for you. You can decide by battery percentage or according to your time, when to switch to which mode. This saves you a lot of time and you can extend your battery life to a large extent. Notification LED is extremely small and you will notice it only when you keep your phone close. Normally, I had to especially look at the notification LED to check if I had any notification. This is quite a bummer for me. Manufacturers apply their own skin to Android which gives their users additional customization features which can enhance their experience. Asus’s ZenUI offers ton’s of customization & built in features to the user. You can tweak almost each and every feature using the ZenUI that you would not be able to do if you were using a smartphone running on stock Android. By swiping up from the bottom, you get options using which you can edit how your home screen looks by adjusting the number of apps you want to see, change their font size, change scroll effects etc. You can use different launcher theme from its Asus Zenfone exclusive theme store. There are a lot of themes available here, some of which are paid, for you to choose from. So you don’t have to keep looking at the same screen each day, as you change its appearance anytime you want. ZenUI provides you with almost all the apps you will need all built-in (except social apps like Whatsapp, Hike etc). Be it locking some sensitive apps, Sharing a link to share your data with other devices, File Manager, Web Storage, everything is included right out of the box. So no more installing external apps, and you end up with extra internal storage with these included in OS itself. ZenUI earlier had a lot of other apps that were just useless, so they have removed them and kept only those which are useful. They keep updating their ZenUI and its nearing to become the perfect UI forAndroid compared to 10s of other custom UIs. Value for money smartphone market is introduced with a new device almost every week, and Zenfone Max still stands out as one of the best contender priced under Rs.10,000. At this impressive price, you get big screen device with the decent display, massive battery life, solid build quality, and performance more than enough to multi-task with everyday apps and features. I will highly recommend this smartphone if you are on a tight budget, and if you want a big smartphone that can last good over 2 or 3 years.